BrExit Tsunami Claims Emperor Renzi's Scalp, Counting Down to End of the EU, Next? And so that which was the most probable has come to pass which surely sends shivers of fear down the european establishments back, as the BrExit Tsunami wave turns its attention to its next target towards an ultimate destination that would mark that just the end of the Euro-zone but the European Union. For the END of the EU is the final destination of the Brexit Tsunami that even today europe's establishment elite just cannot fathom, comprehend, get their head around. 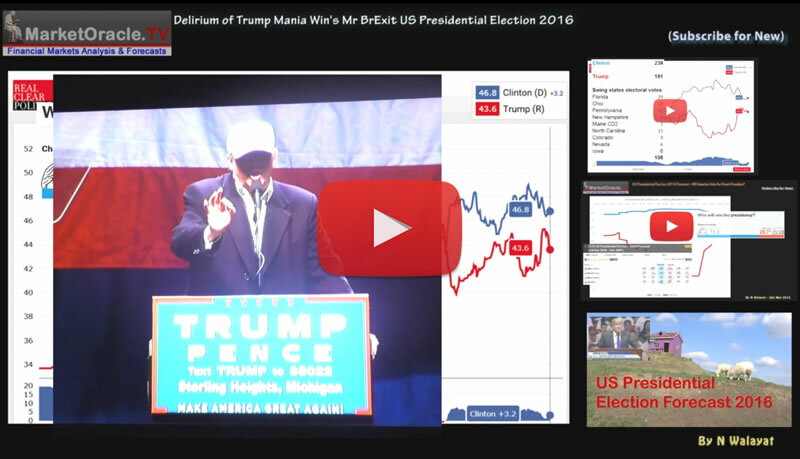 Perhaps they need to watch my highly prescient video of March 2016, that's 3 months before Britain's referendum, 8 months before Trumps election win and 9 months before today. 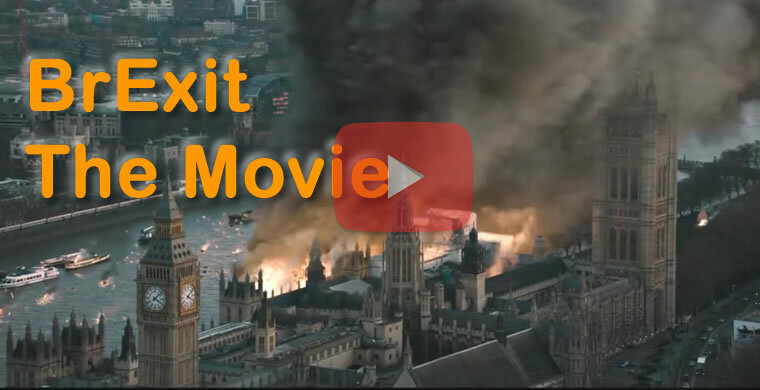 For the video makes clear what BREXIT actually means for the EU, the ultimate fate in store for the EU. The European Union is the author of the european peoples pain. So just as the British establishment elite were shocked into silence in June 2016 so has the Italian elite today. And just as I stated in Saturday's article, Italy is now on the path towards EXITING the Euro-zone and the EU! In fact after Britain, and as things stand today then Italy looks likely to be the NEXT country to leave the EU. The people of Italy HAVE HAD ENOUGH! They have put up with over 8 YEARS of ECONOMIC DEPRESSION! They have put up with 40% YOUTH UNEMPLOYMNET!, They have put up with AUSTERITY without end! And despite ALL of the PAIN there has been NO GAIN! ZERO! The economy not only remains stagnant but is in an even WORSE state than where it was 8 years ago because today Italy's debt mountain has grown to not 100% of GDP that many economists warn as being dangerously indebted, no Italy's debt mountain is at 140% OF GDP! - ALL PAIN NO GAIN, the people have had ENOUGH! And thus are voting for REAL CHANGE! And not the fake pass the parcel change that takes place during general elections, when nothing really ever changes as the real power has long since been passed onto to the EU in BRUSSELS! REAL CHANGE IS COMING TO EUROPE! The BREXIT TSNUMAI is already eyeing its NEXT Target! Netherlands, France, even Germany are in its sights. Is a battle between conservative liberal VVD and the nationalist far right PVV. The opinion polls are currently putting the PVV in the lead on 33% against the VVD on 25%. Therefore the Netherlands are heading for a Brexit like shock result, though given the Dutch proportional representation system virtually ensures no single party can win the election unless they achieve more than 50% of the vote. The French presidential election will be a tough battle between centre right Francoi Fillion and far right Marine Le Pen, current betting market odds significantly favour Fillion, which at this time suggests France may avoid a Brexit shock outcome. Ensure you are subscribed to my always free newsletter to understand exactly what is happening and why. Remembering that I correctly forecast Britain's Brexit, Trumps election win and the Italian NO vote in addition to ongoing stocks and housing bull markets.